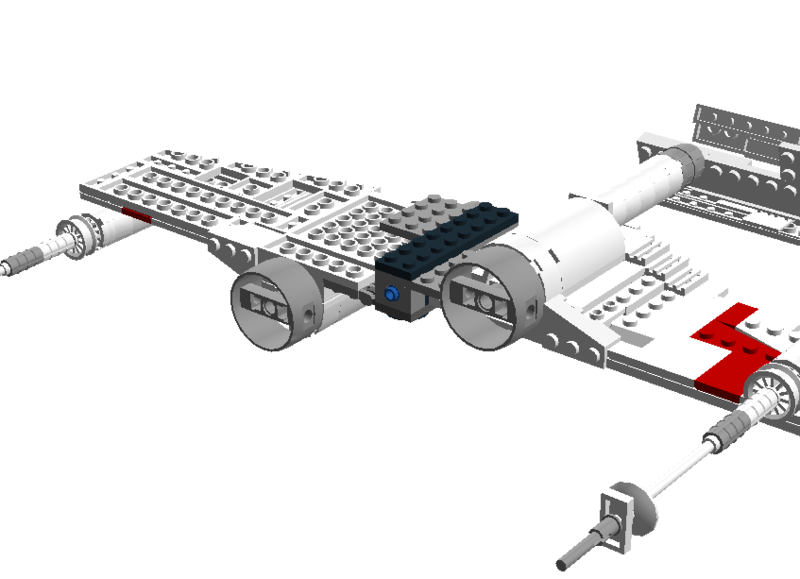 Some time back, I began my own rendition of this ship after having seen Brian Tobin’s amazing MOC. "I'll be honest here; your criticism is typically condescending and unpleasant. It's one thing to offer constructive criticism, but your comments can hardly be considered constructive. You are constantly knocking into others for failing to achieve perfection and are overtly negative about work which is not yours." I don't like your 1st attempt. 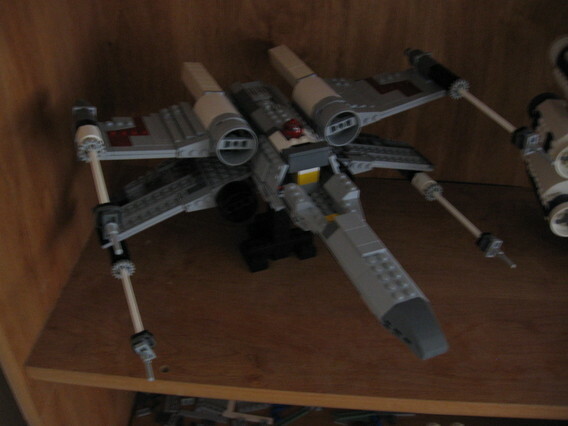 The wings look a bit to short on the latest version, your best on in my opinion is the 2nd version, I wish that the Lego would make this into a set. Do you have any more pics of the version 5.5? Triangle Man wrote: I don't like your 1st attempt. Yeah, that I put there more to show how far I've come. 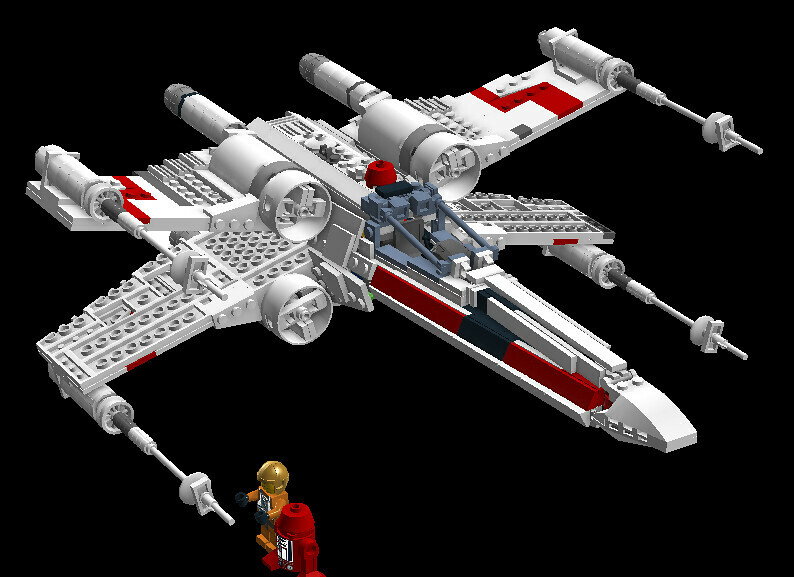 Triangle Man wrote: The wings look a bit to short on the latest version, your best on in my opinion is the 2nd version, I wish that the Lego would make this into a set. Interesting that you say that, as Version 2 was heavily based off of 4502/6212. And since it was the last version before I started using legitimate reference. The wing length and wingspan were actually calculated from screenshots for the most recent rendition. Triangle Man wrote: Do you have any more pics of the version 5.5? 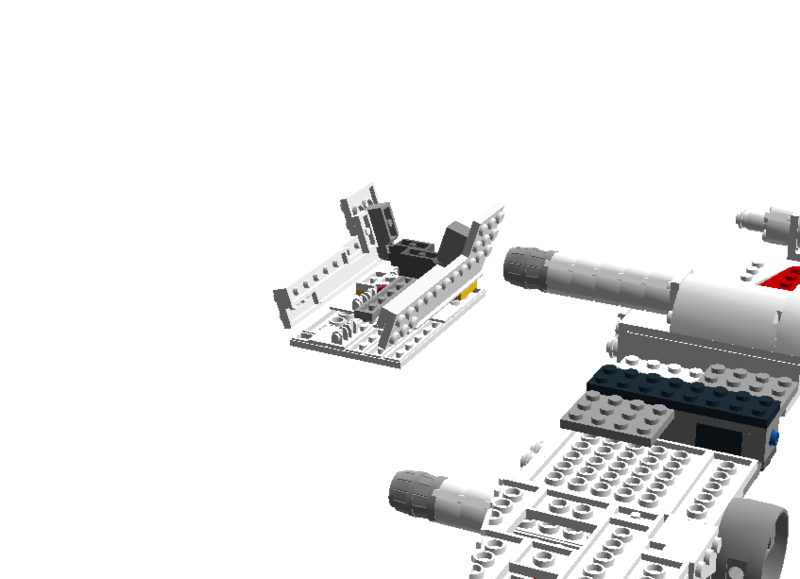 At the moment the fuselage is mostly disassembled. I'm actually in the process of combining the SNOTed nose in Version 5 with the cleaner wings from Version 5.5 and a SNOTed rear fuselage, so it will probably be a while before an update. Pardon My ignorance but what is SNOT or SNOTed (not what I thinking I hope ). It's the lack of a molded canopy on the newest versions that makes them look unusual. 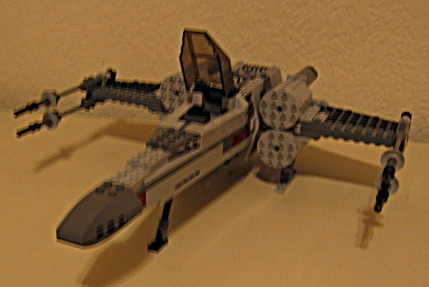 Actually, the molded canopy is rather inaccurate. 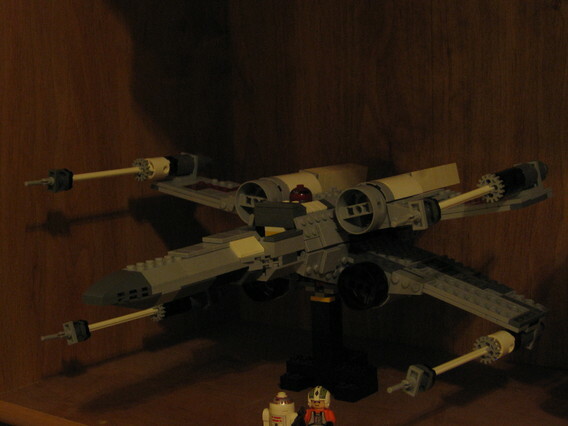 It's modeled after the canopy on the Y-wing. 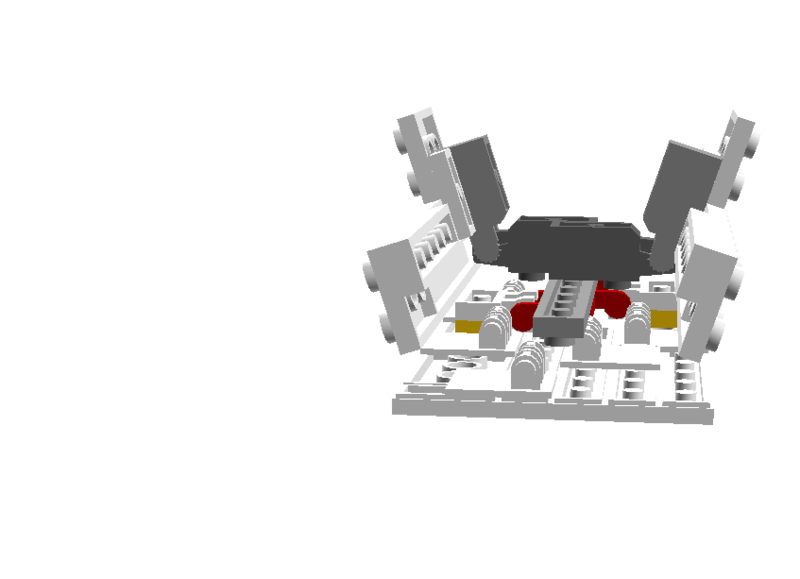 You can use the slightly more accurate molded canopy from 10129 in the fashion of Mike Psiaki, but it's rather boxy and I'm not sure how it would look. Not only that, but I don't have enough money or desire to buy 10129. Of course, the fact that Psiaki was able to make it work well is one of many reasons I consider his X-wing one of the best I've seen. That canopy seems to stick up at the front a bit to much. 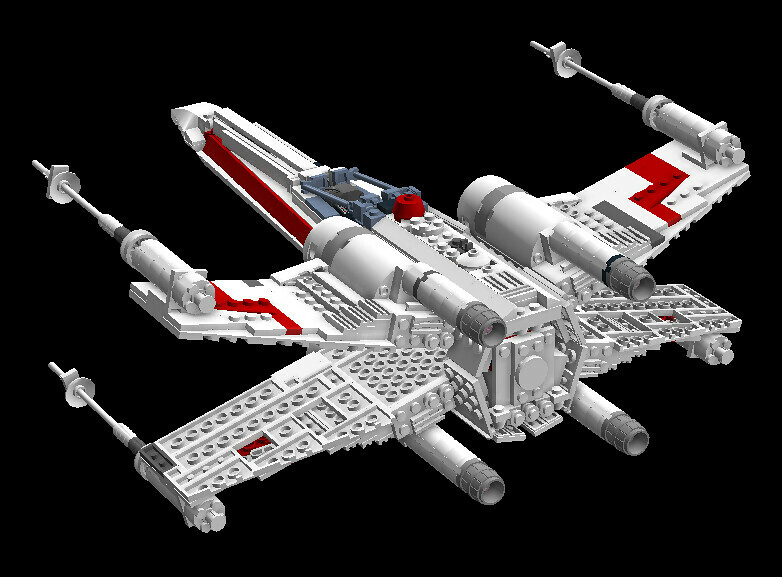 Erm the X-wing has a narrow canopy doesn't it. The canopy piece is actually flush at the bottom, which is why psiaki decided to offset it. 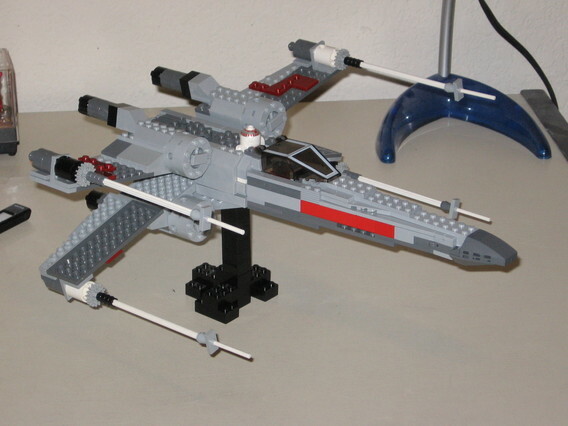 Besides, the X-wing's canopy is supposed to "stick up at the front". 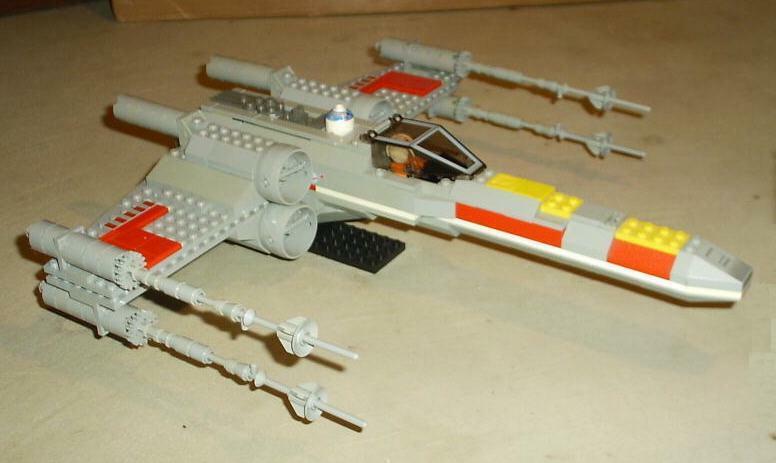 You can see that Brian Tobin also offset the canopy on his X-wing in light of this. 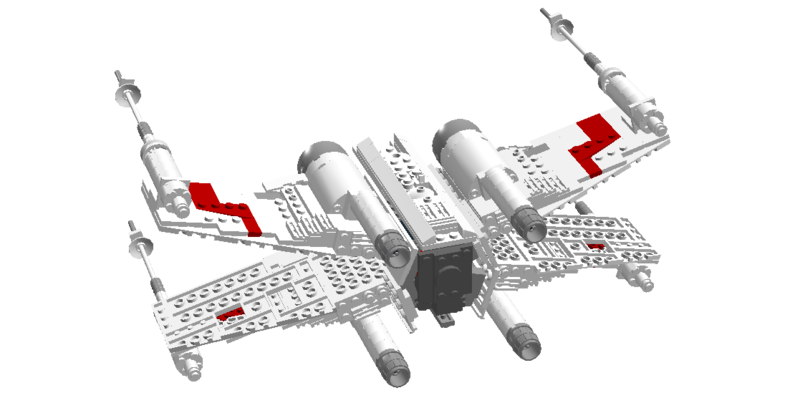 While I agree that it looks a bit wide, it's not any wider than the Y-wing canopy piece. As you can see, the S-foil mechanism is exactly the same, but the wings have been improved with pieces I don't actually own. I'm a bit surprised to see you building this in white, but other than that, it's looking good. Have you actually tested the connections in real life, though? 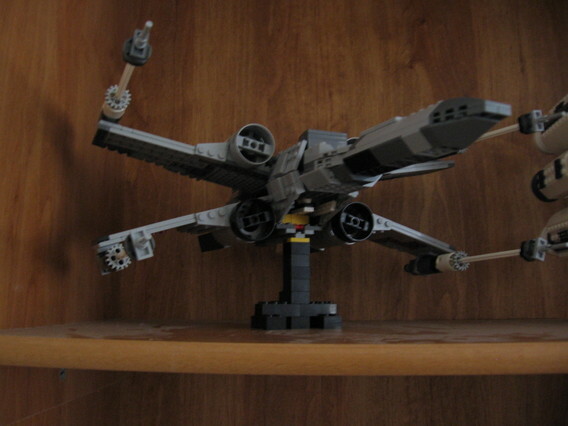 The wing attachment to the rotating mechanism looks a little fragile. Piece count currently stands at 517 - 80 more than 6212. Coming along nicely. 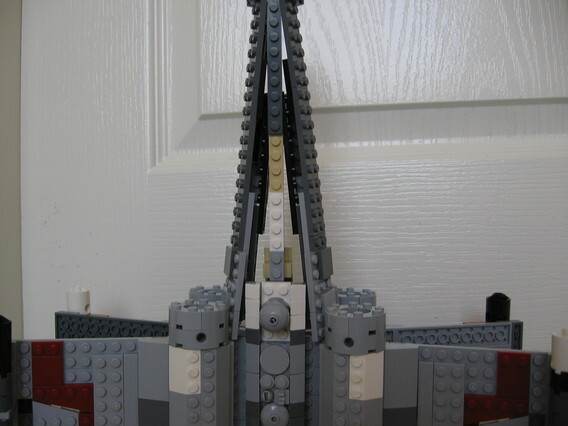 The nose cone looks a little out of place, though, being built so...normally, as compared to some of the other areas where you've used some good SNOT work. Have yo made any more progress? My, I wasn't aware you still visited! Not since this, I'm afraid. A lot has happened since that last post. Not like anyone visits anymore, but I might as well finish up this thread.